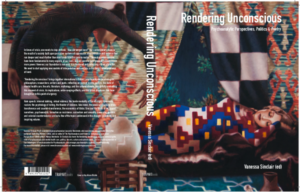 Rendering Unconscious is also a book! Visit Trapart Books to get yours now! Contributions by Vanessa Sinclair, Gavriel Reisner, Alison Annunziata, Kendalle Aubra, Gerald Sand, Tanya White-Davis & Anu Kotay, Luce deLire, Jason Haaf, Simon Critchley & Brad Evans, Marc Strauss, Chiara Bottici, Manya Steinkoler, Emma Lieber, Damien Patrick Williams, Shara Hardeson, Jill Gentile, Angelo Villa, Gabriela Costardi, Jamieson Webster, Sergio Benvenuto, Craig Slee, Álvaro D. Moreira, David Lichtenstein, Julie Fotheringham, John Dall’aglio, Matthew Oyer, Jessica Datema, Olga Cox Cameron, Katie Ebbitt, Juliana Portilho, Trevor Pederson, Elisabeth Punzi & Per-Magnus Johansson, Meredith Friedson, Steven Reisner, Léa Silveira, Patrick Scanlon, Júlio Mendes Rodrigo, Daniel Deweese, Julie Futrell, Gregory J. Stevens, Benjamin Y. Fong, Katy Bohinc, Wayne Wapeemukwa, Patricia Gherovici & Cassandra Seltman, Marie Brown, Buffy Cain, Claire-Madeline Culkin, Andrew Daul, Germ Lynn, Adel Souto, and paul aster stone-tsao. Vanessa Sinclair, Psy.D. is an American psychoanalyst, based in Stockholm, who sees clients internationally. She is the author of “Switching Mirrors” (2016), and co-editor of “On Psychoanalysis and Violence: Contemporary Laconian Perspectives” (2018) with Dr. Manya Steinkoler. 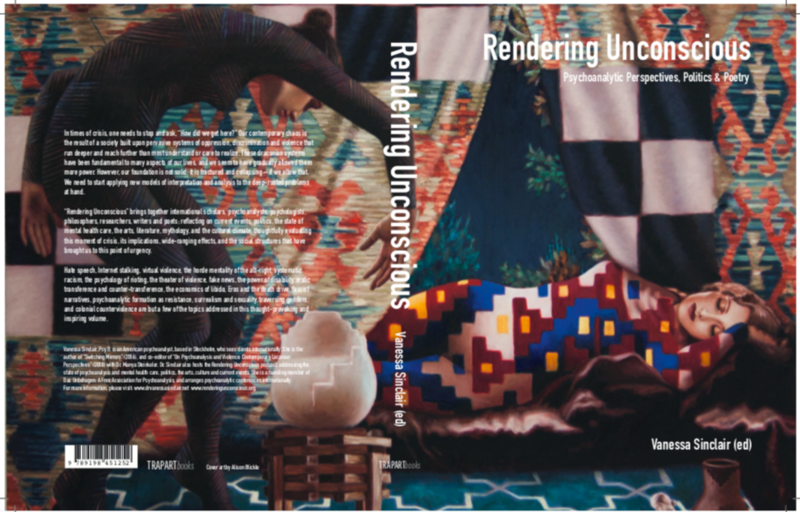 Dr. Sinclair also hosts the Rendering Unconscious podcast, addressing the state of psychoanalysis and mental health care, politics, the arts, culture and current events. She is a founding member of Das Unbehagen: A Free Association for Psychoanalysis, and arranges psychoanalytic conferences internationally. Please note: This book is available on pre-order, and will be shipped late April.